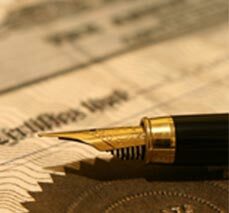 Our professional notary public services are here to make life easier. A notary public acts as an impartial third-party witness to not only the signature of a document, but also that all parties who signed a document did so willingly and under their own free will. Bring a valid, government issued photo ID with you when you visit. Schedule an Appointment.